Matheran is a beautiful Hill Station situated in the Raigad district in the Maharashtra. It is very small hill station, and a excellent place for weekend gateway for Mumbaikar’s. It’s hardly 120 kms from Mumbai, that’s why it’s mostly crowded by Mumbaikar’s only. Weekend is always crowded in Matheran. At Matheran you will be relax, Rested and Rejuvenating because of its beautiful atmosphere. The cliffs of Matheran with incredibly steep and that offers the stunning view point from there. 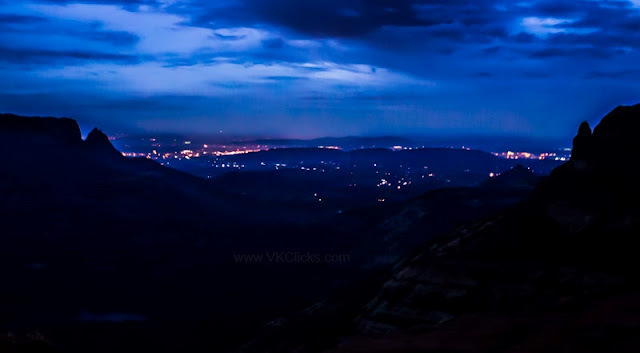 This hill station famous for its beautiful points like panorama point, sunset point etc. After reaching to Panorama Point, we stayed there to have a some good view of panorama point. We stayed there for long and sun began to set down and lights of the city started to glow and that view of the city light was astonishing.